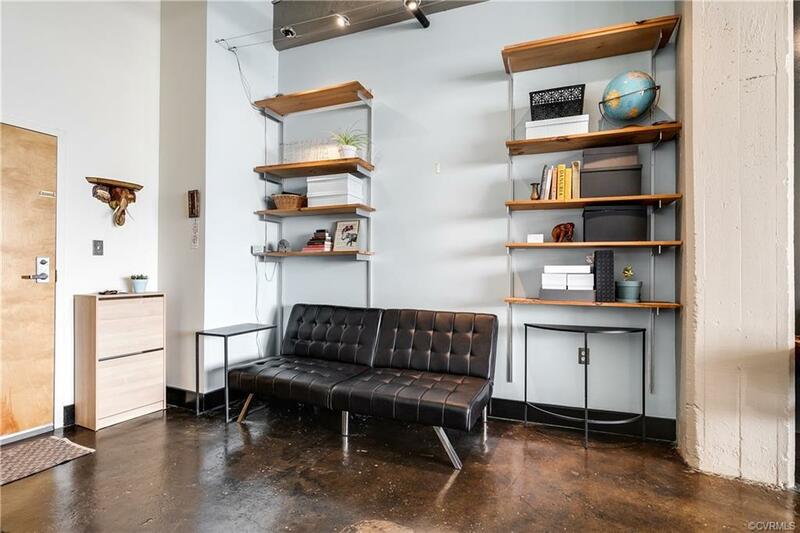 This spectacular, industrial style unit with over 900 square-feet features everything you want and more out of contemporary living. 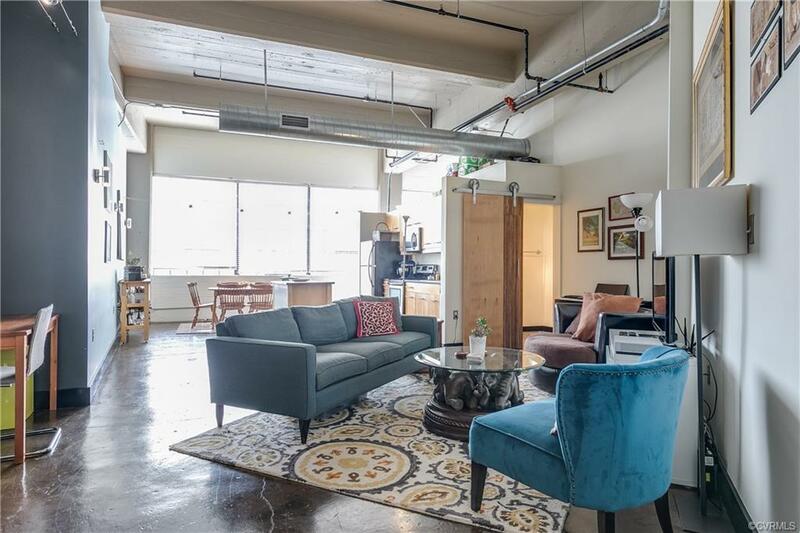 Boasting highly sought-after covered garage parking, separate sleeping and living areas, and a shared rooftop deck with jaw-dropping skyline views, this condo is truly ideal for city life. 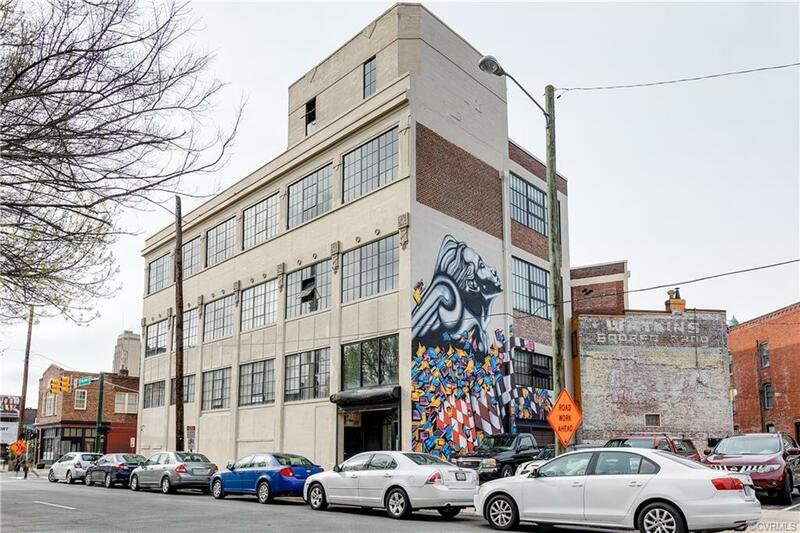 You're also within walking distance to dozens of Richmond's best restaurants, shops, and everything the Arts District has to offer. And, being one block away from the Pulse line, your possibilities for exploring the city are endless. 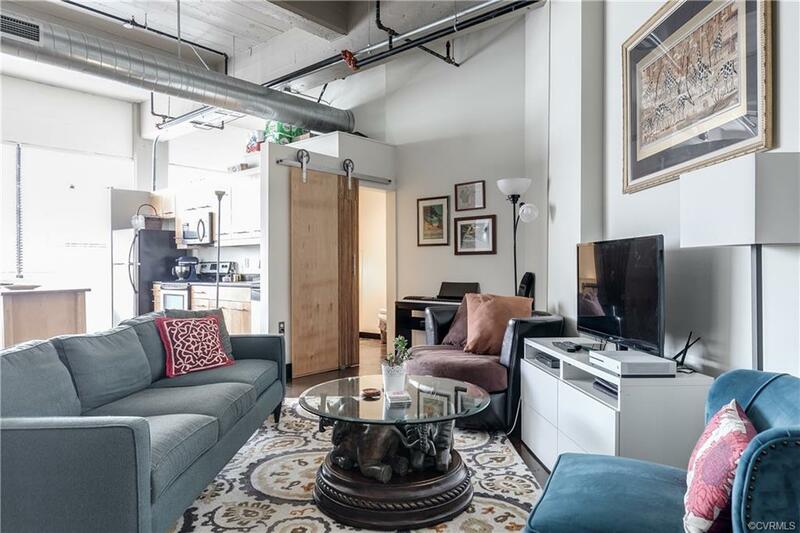 With a truly open floorplan, the unit boasts a private Master with full Master bath incl. ceramic tile and a walk-in closet off bedroom. The home also includes a half-bath, also with ceramic tile, off the Living Room for easy entertaining. The Living Room, with separate cubbie perfect for an office space, flows toward a truly mod. kitchen, featuring: new microwave; stainless steel app's; granite counters; and tons of natural light from wall of windows. Washer and dryer included in unit for total convenience. HOA fee includes water, sewer, trash, and Comcast HD cable/internet. Tax abatement also in place. Secured access featured. Additional Fee Description Trash Recycle Electric Cable Internet & Maint. Listing courtesy of Go Real Estate Inc. Listing information © 2019 CVRMLS and CBRAR.